In his Nowruz speech on Friday, Iran’s Supreme Leader Ali Khamenei questioned whether the Holocaust happened. 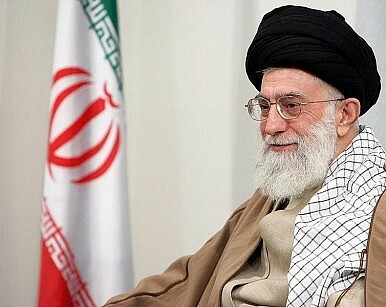 Iran’s top leader questioned whether the Holocaust ever occurred in a speech on Friday marking the country’s New Year. #Holocaust is an event whose reality is uncertain and if it has happened, it’s uncertain how it has happened. The context of Khamenei’s questioning of the Holocaust is significant because it directly mirrors former President Mahmoud Ahmadinejad’s equally contentious remarks about the Holocaust during his time in office. Ahmadinejad rendered Iran an international pariah in no small part because of his remarks about the Holocaust, as well as holding conferences in Iran featuring prominent anti-Semites and Holocaust deniers. However, Ahmadinejad’s Holocaust denials were almost always framed as a way to draw attention to the fact that denying the existence of the Holocaust is illegal in many European countries, which he sought to cast as a freedom of speech issue. For example, when he held conferences in Iran on the Holocaust, he often invited people from the West who had been prosecuted for denying the Holocaust. Ahmadinejad also frequently called for there to be more research done into the existence of the Holocaust, apparently in the belief that enough has not been done to prove it actually happened. That Khamenei would parrot Ahmadinejad’s argument is interesting because the two men had a very public falling out during Ahmadinejad’s second term in office. Even today, some of the former president’s top aides are being arrested in Iran. Khamenei’s Holocaust denial on Friday is also significant in that it is at direct odds with the line taken by Iran’s current president, Hassan Rouhani. Since taking office, Rouhani and his Foreign Minister Mohammad Zarif have gone to great lengths to counter the widespread perception (from the Ahmadinejad era, largely) that Iran is anti-Semitic. Both have acknowledged Jewish holidays on Twitter and Rouhani has explicitly acknowledged the large scale killings of Jews in Europe during WWII in interviews with Western media outlets. Khamenei’s clear deviation from Rouhani on this issue stands in contrast to the support the Supreme Leader has given the president in his ongoing diplomacy with the West over Iran’s nuclear program. It may be that Supreme Leader Khamenei is growing uncomfortable with some of the culture policies Rouhani has been promoting recently. There have been other indications of that as of late, however, none of those had as many implications for Iran’s foreign relations as Khamenei questioning the Holocaust. Reformists Make Gains in Iranian Elections. Now What? In ISIS Fight, Iran an Adversary Not a PartnerHow Iran’s Upcoming Election Drives Nuclear DiplomacyIran Calls for the Elimination of Nuclear Weapons Ahead of P5+1 MeetingIran Shows Its Hand Before P5+1 Talks?